Fueled by curiosity and the prospect of a new challenge, Mark Kuah made the bold decision to head to Cambodia in 1994, where he later spent the better part of 23 years building a career. 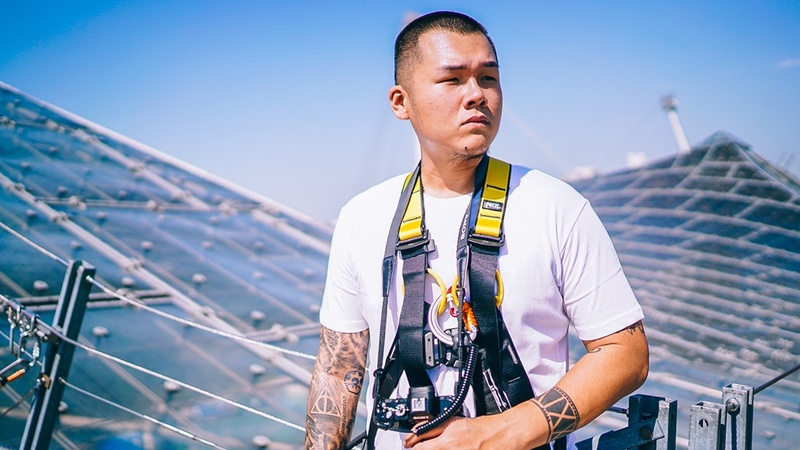 “Ten of the 23 years in Cambodia was spent running my own business, and the next 13 years was spent working for a French mechanical and electrical contractor. “As Cambodia lacked a stable power supply back in 1994, I came into the picture supplying households and businesses with small power generation sets… With the French company, I was in charge of facility management,” he explained. “My philosophy is that your friends and colleagues are very important. 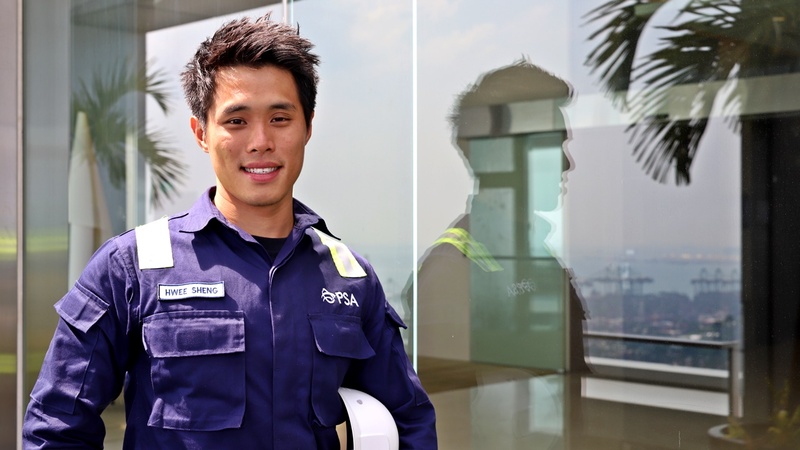 One cannot do or learn everything alone,” shared Mark, when asked how he adapted to his new role as sales engineer at Eligo (Photo credit: Jonathan Tan). However, despite his wealth of knowledge and experience, the 58-year-old found it hard to find a job upon his return to Singapore. “I came back in 2017 and looking for a job was very difficult for me. I had vast experience but did not have any paper qualifications, which made it difficult for me to show prospective employers what I was able to do. Many of them wanted to see qualifications as they didn’t know me personally. That put me at a disadvantage,” said Mark. 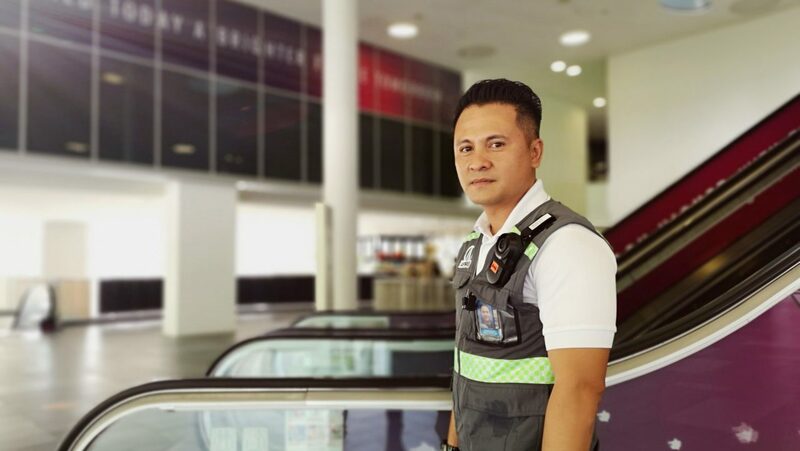 Having spent a year applying for jobs online with little success, Mark eventually turned his attention to NTUC’s e2i (Employment and Employability Institute). “I got to learn about e2i from my wife who got a job with their help. She encouraged me to turn to them for assistance with my job search,” he said. On e2i’s recommendation, Mark attended a three-day Executive Workshop in March 2018 where he received tips and support in his job search. “Through the Executive Workshop, I learnt how to package my resume and prepare myself when meeting prospective employers. I used to think that an interview was all about dressing neatly, but it is more than that because how we present ourselves and interact is very important,” he shared. Throughout the course of his job search, Mark had also been proactively making up for his lack of qualifications by training and upgrading himself. “In the time I was looking for work, I was also trying to rebuild my networks with friends. I also took up different courses to boost my employability as employers were looking for paper qualifications. I studied Access Database Training, PLC (Programmable Logic Controllers) Programming for automation projects, Autocad software knowledge and even Cyber Security. Many of these courses had Government subsidies and I only needed to pay a little bit in fees,” he elaborated. Building on these efforts and e2i’s support, Mark eventually found a job as a sales engineer with Eligo after meeting his prospective employer at the career fair for the wholesale trade organised by e2i in November 2018. Working together with e2i, Mark participated in a Career Trial Programme that let him have a taste of the job as his employer assess his suitability before both decided on a confirmation. Mark’s day-to-day role now requires him to assess the needs of clients from the oil and gas and semiconductor industries and devise solutions for them with the company’s products. “Adapting to the job was not very difficult because I had already encountered these things in my previous careers, just that it wasn’t as specialised. I could pick this up easily because I already had the technical background and understood how the products worked. During the career trial, I got to learn on the job and see how it could work out. “My philosophy is that your friends and colleagues are very important. One cannot do or learn everything alone. To get help, I wanted to get to know my colleagues, build rapport and create a friendly atmosphere by making my colleagues laugh. Doing so makes it easier to ask for help, and people are more willing to help me,” he revealed. Mark was recently confirmed in his role at Eligo and is relishing the challenges and new opportunities with the company. “I find satisfaction from being about to find out new information. Every day, the world is changing and what we experience and know today is no longer the same as what we first learned in the past. If we don’t keep ourselves updated, we’ll be left out. More than just in terms of career, we may even be left out of conversations with friends,” he said. Mark Kuah and his boss, Eligo Managing Director Wee Kok Seng (Photo credit: Jonathan Tan).